Leo K. Thorsness was born in Walnut Grove, Minnesota on Feb 14, 1932. He and Gaylee Anderson met in the freshman registration line at South Dakota State College in 1950, married in 1953 and have one daughter, Dawn. In January 1951, Leo enlisted in the USAF; graduated from Class 54-G Aviation Cadets, and served as a fighter pilot flying F-84s, F-100s and F- 105s. Colonel Thorsness flew ninety-two and a half Wild Weasel missions over North Vietnam in the 357th Tactical Fighter Squadron, was shot down on April 30, 1967, and became a Prisoner of War for the next 6 years (the first 3 were in solitary confinement). 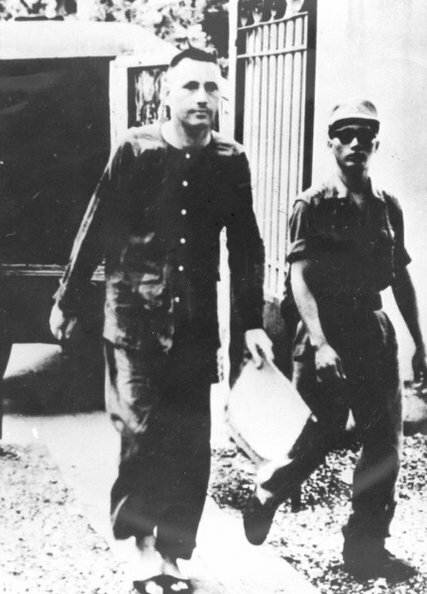 He was released by the North Vietnamese in 1973. In 1986 he and Gaylee moved to Seattle where he served as a Washington State Senator from 1988 to 1992. Leo moved to Madison, Alabama to be close to his daughter and 2 granddaughters. On April 19, 1967, then Lt. Colonel Thorsness received the Medal of Honor for conspicuous gallantry and intrepidity in action at the risk of his life above and beyond the call of duty. As pilot of an F-105 aircraft, Lt. Colonel Thorsness was on a surface-to- air missile suppression mission over North Vietnam. Lt. Colonel Thorsness and his wingman attacked and silenced a surface-to-air missile site with air-to-ground missiles, and then destroyed a second surface-to-air missile site with bombs. In the attack on the second missile site, Lt. Colonel Thorsness' wingman was shot down by intensive antiaircraft fire, and the 2 crewmembers ejected from their aircraft. Lt. Colonel Thorsness circled the descending parachutes to keep the crewmembers in sight and relay their position to the Search and Rescue Center. During this maneuver, a MIG-17 was sighted in the area. Lt. Colonel Thorsness immediately initiated an attack and destroyed the MIG. Because his aircraft was low on fuel, he was forced to depart the area in search of a tanker. Upon being advised that 2 helicopters were orbiting over the downed crew's position and that there were hostile MlGs in the area posing a serious threat to the helicopters, Lt. Colonel Thorsness, despite his low fuel condition, decided to return alone through a hostile environment of surface-to-air missile and antiaircraft defenses to the downed crew's position. As he approached the area, he spotted 4 MIG-17 aircraft and immediately initiated an attack on the MlGs, damaging 1 and driving the others away from the rescue scene. When it became apparent that an aircraft in the area was critically low on fuel and the crew would have to abandon the aircraft unless they could reach a tanker, Lt. Colonel Thorsness, although critically short on fuel himself, helped to avert further possible loss of life and a friendly aircraft by recovering at a forward operating base, thus allowing the aircraft in emergency fuel condition to refuel safely. 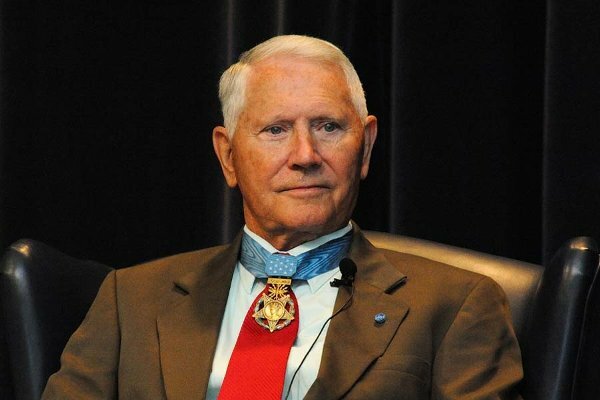 Leo was also awarded the Silver Star (2 awards), the Distinguished Flying Cross (6 awards) and the Air Medal with Valor (ten awards) during his service in Vietnam. Also see Leo's book, Surviving Hell: A POW's Journey for more on his story.